Joanna witnesses religious ceremonies in temples, learns how scientists are enabling people in tea plantations to live alongside wild elephants and with the help of computers is turned into a multi-limbed Indian goddess. 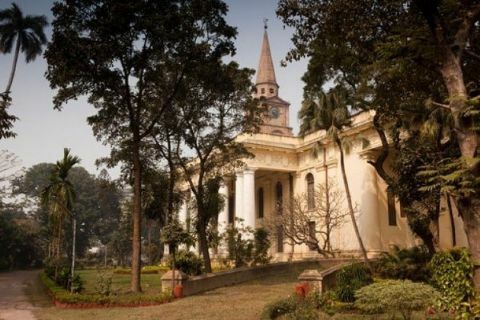 In Kolkata, Joanna takes to the streets at night with a local guide and meets members of India's transgender community. Finally she journeys high into the Himalayas to visit Gangtok in Sikkim, where her mother lived as a child. Joanna meets the Maharaja of Dungarpur, who shows her around his lakeside palace. In stark contrast, Joanna visits a Dalit community - considered to be India's lowest caste - in Gujarat, and hears of the everyday discrimination these people experience under India's still deeply entrenched 3,000-year-old caste system. She later joins in a Hindu house warming ceremony, where a cow and calf are brought into the new house for luck. Braving the roads of Mumbai, Joanna takes a ride in the city's only all-female taxi company and visits the Times of India, where her uncle was editor of the paper in the 1930s and 40s. She then overcomes her vertigo to explore the World One Tower, soon to be Mumbai's tallest luxury residential building. Joanna ends her 5,000 mile journey in the place where she was born, Srinagar in Kashmir. She starts off in the Ranthambhore National Park, where she hopes to spot a tiger in the wild. Meeting tiger conservationist Belinda Wright, Joanna witnesses the work of local NGO Tiger Watch, who are attempting to break a cycle of poaching and poverty through education. Home to over 18 million people, Delhi is a city of stark contrasts. The extreme differences are obvious when Joanna visits a homeless community - where 10,000 men live under a flyover - and visits the modern part of the city where she has a go at working in a hi-tech call centre. The final leg of her journey takes her north from Delhi to Dharamsala, where she is granted a private audience with His Holiness the Dalai Lama. Joanna concludes her trip with a stay on a houseboat in Srinagar, as her parents did on honeymoon in 1941. The odyssey continues as Colin Stafford-Johnson completes his journey along Ireland's Atlantic rim. 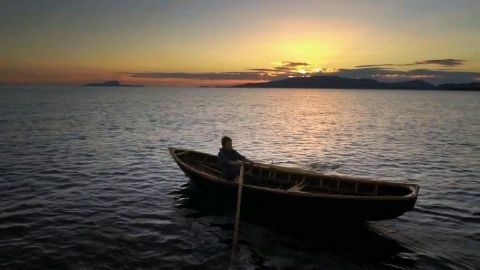 Exploring the wildlife and mountains around his home inlet of Clew Bay, Colin then heads north for Donegal - golden eagle country - before reaching the island's northern tip and turning east along the coast of Northern Ireland. The clean minimalism of the Japanese home has been exported around the world, from modernist architecture to lifestyle stores like Muji. But the origins of this ubiquitous aesthetic evolved from a system of spiritual and philosophical values dating back centuries. James visits one of Japan's last surviving traditional wooden villages, and the 17th-century villa of Rinshunkaku, and reveals how the unique spirit of Japanese craftsmen turned joinery into an artform - creating houses without the need for nails, screws or glue. Exploring some of the traditional arts of the Japanese home, James also investigates attitudes to domestic culture in modern Japan, meeting photographer Kyoichi Tsuzuki, chronicler of Japan's crowded cities and tiny apartments. Other highlights include a performance by calligrapher and artist Tomoko Kawao and a visit to the hometown of architect Terunobu Fujimori. 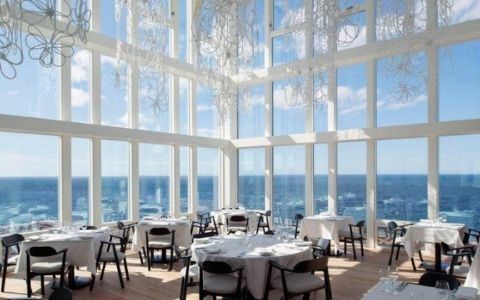 Giles Coren and Monica Galetti experience the warm embrace of Fogo Island Inn on a rocky, sea-sprayed outpost of remote Fogo Island in Newfoundland. White, angular and perched atop zig-zagged stilts like the local fishermen's houses. 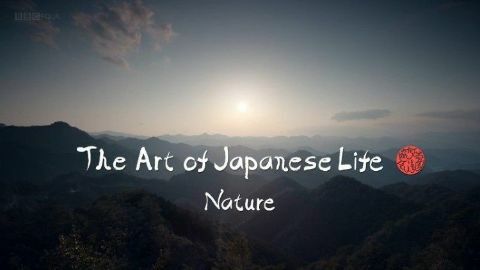 James journeys through Japan's mountainous forests, marvels at its zen gardens and admires centuries-old bonsai, to explore the connections between Japanese culture and the natural environment. 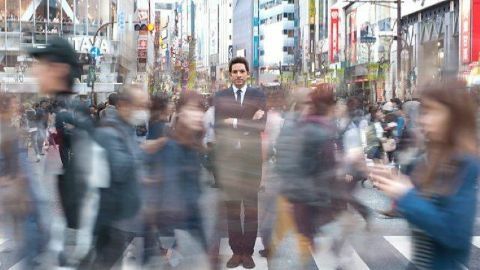 Travelling around Japan's stunning island geography, he examines how the country's two great religions, Shinto and Buddhism, helped shape a creative response to nature often very different to the West. But he also considers modern Japan's changing relationship to the natural world and travels to Naoshima Art Island to see how contemporary artists are finding new ways to engage with nature. He explores how the artistic life of three Japanese cities shaped the country's attitudes to past and present, east and west, and helped forge the very idea of Japan itself. 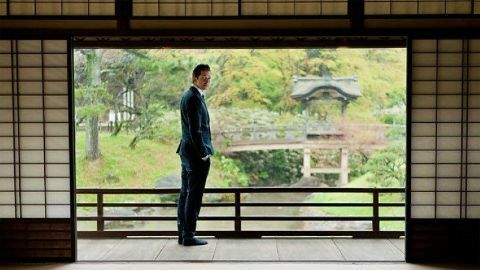 In Kyoto, James reveals how the flowering of classical culture produced many treasures of Japanese art, including The Tale of Genji, considered to be the first novel ever written. In Edo, where Tokyo now stands, a very different art form emerged, in the wood block prints of artists such as Hokusai and Hiroshige. James meets the artisans still creating these prints today, and discovers original works by a great master, Utamaro, who documented the so-called 'floating world'. In contemporary Tokyo, James discovers the darker side of Japan's urbanisation through the photographs of Daido Moriyama, and meets a founder of the Studio Ghibli, Isao Takahata, whose film Grave of the Fireflies helped establish anime as a powerful and serious art form.